We have some exciting news that you are not going to want to miss! OUR 2015 SUMMER HOT DEAL SALE HAS BEGUN! 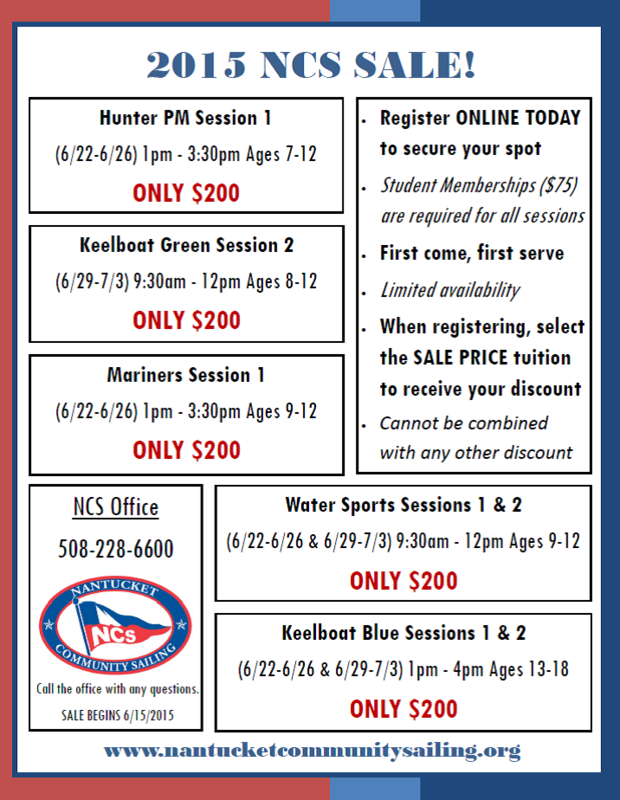 We have discounted 7 of our first and second week sessions (Hunter, Mariners, Water Sports, Keelboat Green, Keelboat Blue). Each discounted session is ONLY $200 (almost HALF PRICE)! There are a limited amount of spots available so please register as soon as possible if you would like to secure a spot. Please see the flyer below for detailed information. To register for one of these sessions, CLICK HERE!